Want to join in the fun? Positions we are actively recruiting for will be shown below. We are looking for an ambitious and enthusiastic individual who can bring a multitude of skills to help maintain our properties. The individual should be prepared to work alone initially, but should also expect to become part of a larger maintenance team as the company expands. The position is ideal for an experienced maintenance technician who is looking to develop their skill set, accept greater responsibility and work on a range of different property types. We are looking for housekeepers who can join us in offering an attentive service. Have you got great eye for details? Do you enjoy delivering the highest quality experience? Are you customer service focused? Can you work on your own, as well as part of the team? This job is for you. 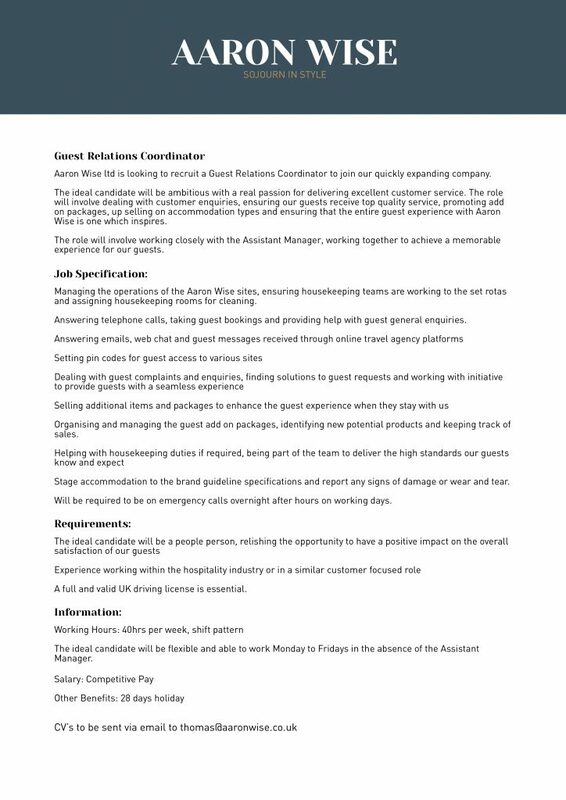 With exciting planned expansion for 2019 we are looking to take on new Guest Relations Coordinators to help with our growing operations. Our Guest Relations Coordinators work on the front line of the business, dealing with our guest’s entire experience from the point of booking to departure. This role is a perfectly suited for an individual who is looking to start their career in the hospitality industry, gaining valuable experience in multiple areas of the day to day operation in our business.